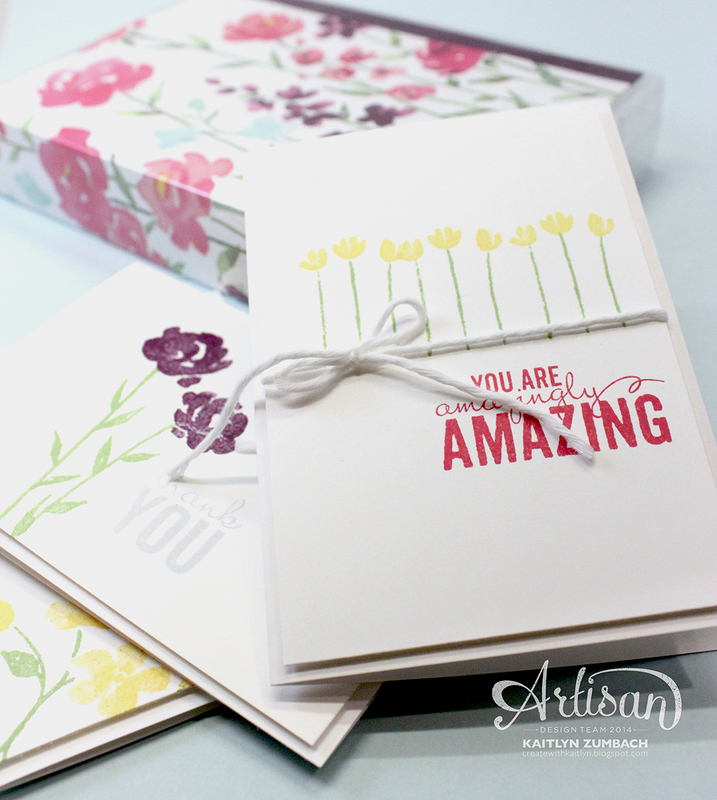 Are you ready for another Artisan Design Team blog hop??? Today we are sharing our projects that will be featured on Stampin' Up! 's Facebook tomorrow. I have a great little stationary set that I want to show you. I think you will really love it! 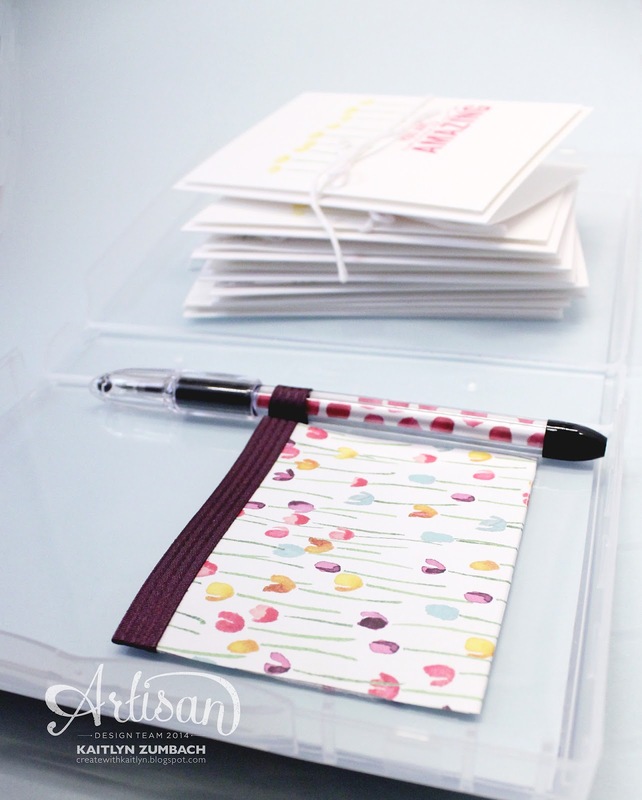 A few note cards and a coordinating case makes for a beautiful stationary set. Plus it is super easy to make and everyone loves it! 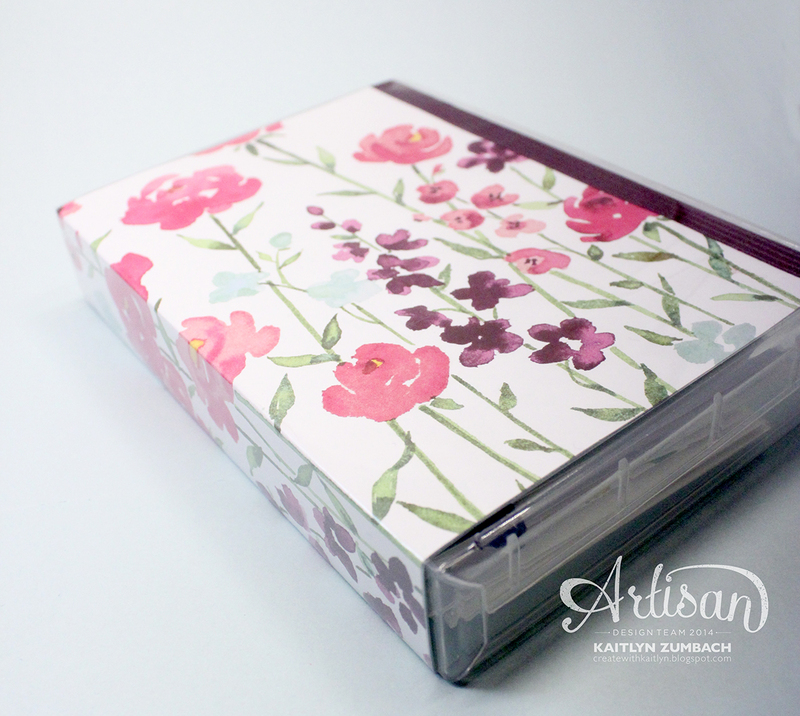 I decorated the case with the most beautiful piece of Designer Series Paper ever! The Painted Blooms Designer Series Paper is so striking by itself, the only embellishment I added was some Blackberry Bliss Ribbon to make the edges pretty. The Full Wood Mount Cases nicely hold 6 to 10 one layer Note Cards & Envelopes. I also added a little pocket made with the Mini Treat Bag Die to hold notes and a matching pen. I put a piece of Soft Sky Card Stock on the reverse side of the Designer Series Paper (instead of letting the reverse side show) of the case so the cards and pocket could really pop. The note cards I made are SUPER simple. 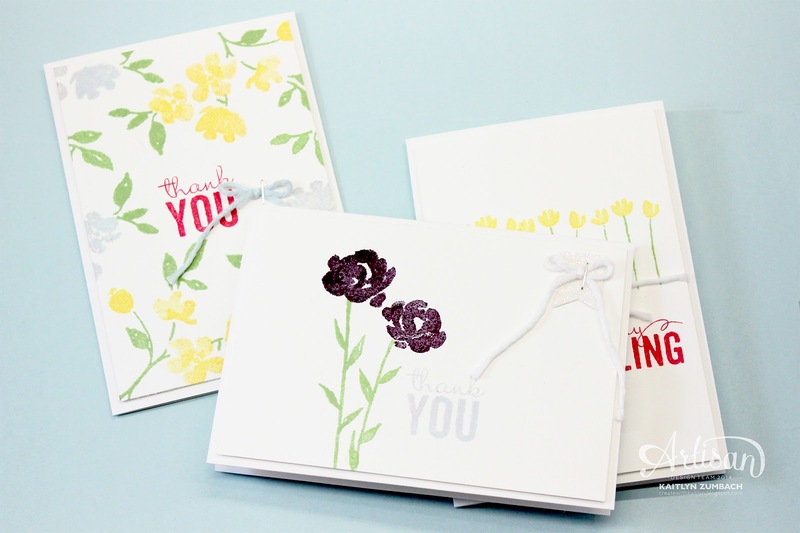 The Painted Petals stamp set makes it so easy to create gorgeous cards with just Whisper White Card Stock and a few ink pads. I added some touches of the Painted Blooms Cotton Twine to keep the look soft but add some interest. This whole little stationary set makes for a great gift! I know I would love to receive a set of thank you cards ready to go! Be sure to click the next button below to see what everyone else has created! Great idea and wonderful creation ! wauw!! what a great great idea!!! very nice..those papers all already in my ordering for tomorrow! So smart and such a fab set!